The Online Hate Prevention Institute (OHPI) is a target for impersonation by certain online haters. OHPI is an anti-hate organisation. This page has been created to help members of the public verify both our legitimacy and the any social media accounts claiming to belong to OHPI. How do you know we are legitimate? OHPI is a real organisation. We are structured as a Public Company limited by guarantee. This can be verified with the Australian Government’s corporate regulator, ASIC, through their search facility. Select “Organisation and Business Name” then enter “Online Hate” to view our record. OHPI is a registered charity. 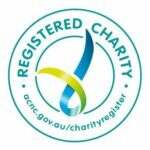 We are registered with the Australian Charities and Not-For-Profit Commission. We also have DGR status, meaning we are approved to accept tax deductible donations, see our online record at Australian Taxation Office’s ABR site to verify this. OHPI is a Harm Prevention Charity. We have been recognised by the Australian Government and admitted to the Harm Prevention Register. OHPI is recognised in the media as leader in the field. BBC News, ABC Radio National, SBS News, The Australian, The Age, The Herald Sun, The Sydney Morning Herald, Huffington Post, The Bendigo Advertiser, National Indigenous Radio Service, Central Australian Aboriginal Media Association, The Australian Jewish News, J-Wire, The Jerusalem Post, Haaretz, The Forward, Social Times, and others. How do you know this site is us? The Australian Human Rights Commission (AHRC) on their Cyber-Racism page. The AHRC is the Statutory Authority for Human Rights of the Australian Federal Government. The National Library of Australia. The NLA maintains an archive of this site as part of the PANDORA project. World New Australia (SBS News) in this article. SBS is one Australia’s two government owned television stations. It is an independent and highly credible news source. The IEEE Computer Society. OHPI’s CEO is a Distinguished Visitor for the Society and gives talks on online hate internationally. This is the speaker profile page. This site is also linked to from the Australian Human Rights Commission as a supporter of the National Anti-Racism Strategy, see the NGO Section. Where else do we post? When we believe a page is in breach of Facebook’s terms of service we may post a link it on our page encouraging others to report it. We may also monitor the page and share our observations privately with policy makers and key stakeholders so that more can be achieved than just removing the page in question. What we really want to see is improved systems to mitigate against such problems in the future. Anything OHPI endorses which is not run by OHPI (and therefore listing above) will be listed here. Any website or social media account claiming endorsement from OHPI that is not listed here does not have our endorsement. While we are in contact with the people running these pages, and support the work they are doing, OHPI is not responsible for the content they publish. Please note there are also other Facebook pages which OHPI’s Facebook page may like. A like on Facebook is not an endorsement. This said, we would be happy to speak to the owners of any page the OHPI page likes if the owners of that page would like our formal endorsement.